Anne's Food: I'm off to see the cheese! I'm off to see the cheese! I'm leaving for Switzerland now, but will be back tomorrow night! I'm going on a very short but very exciting trip with Emmi to the caves of Kaltbach, and I will even get to make my own cheese. How cool is that?? Welcome to Switzerland Anne!!!! Hope you have a wonderful time here! emmi used to be my very favourite yoghurt back in the days when i wasn't watching my lactose intake that much. i still sneakily indulge in one every once in a while, but not for a year now! Have a wonderful time and look forward to the cheese report. I just did a wine review today on a wine from the Savoie Department of France which is located at the lower part of the Alps. 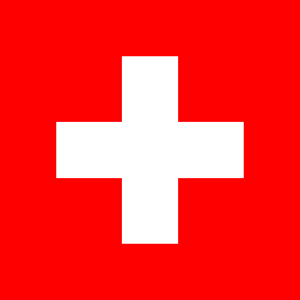 Swiss is in the air! Have fun! Have a good trip! I look forward to hearing all about the cheesemaking! Mmmmm cheese and wine, forget about the soup I was about to have for dinner, I am going to have shropshire blue cheese and oatcakes with a lovely big glass of red wine! Well it's very cool indeed. *That's* how cool it is :). Looking forward to reading about it!